Join Anthony Salerno, PhD (“Dr. Tony”) in a new educational series designed to offer behavioral health providers an opportunity to gain highly relevant insights from distinguished thought leaders across the country. Each presentation starts off with a 30-minute conversation followed by a 15 minute Q&A with participants. We look forward to your participation and feel confident you will gain important and practical knowledge. Dr. Lindsey is a noted scholar in the field of child and adolescent mental health, as well as a leader in the search for knowledge and solutions to generational poverty and inequality. As a nationally recognized expert in understanding and addressing the alarming problem of suicide among young black children, Dr. Lindsey will bring attention to this problem and its implications for the field and the behavioral health service system. 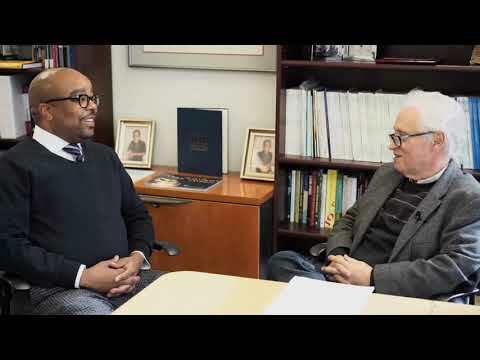 Michael A. Lindsey, PhD, MSW, MPH is the Executive Director of the McSilver Institute for Poverty Policy and Research at New York University (NYU), the Martin Silver Professor of Poverty Studies at NYU Silver School of Social Work, and an Aspen Health Innovators Fellow. Check back soon for our next month's thought leader on Conversations with Dr. Tony!